My 1-2-3 Cents : Does ROH Need to Evolve? First off, the double meaning of the title of this blog wasn’t intended. I was trying to think of a title to express ROH being stale and needing to change. Evolve was perfect word and just happens to be the name of the current wrestling company promoted by ex-ROH booker Gabe Sapolsky. Second, in full disclosure, I have not bought an ROH DVD in over six years. The last show I attended before the Chikara/ROH Chicago double-header in April was in Houston the weekend of Wrestlemania 25. I have ordered a few of their Ippvs, though the technical issues of Boarder Wars caused me to never wanting to waste my time on another ROH Ippv. Honestly, Ring of Honor has never really appealed to me on the same level as other wrestling companies. I can’t deny they’ve had several outstanding matches, but I see them more as a company you watch for matches not for shows. With that said, I’m probably not the person who should be writing this blog. However with Kevin wrapped up with his “BOO” series and me being more in tune with the independent scene, I qualify for this blog out of default. 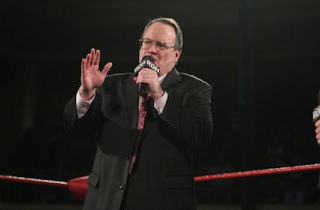 On October 8, 2012, news came out stating Hunter “Delirious” Johnston was taking full control over ROH creative while Jim Cornette will be moved help out more on the production side. The big question is will the change in creative regime matter? Hunter Johnston has been working with Cornette on the booking end for the past couple of years, so I don’t know if there will be a noticeable change in booking philosophy. Although several ex-ROH wrestlers have publicly complained about Cornette’s booking style in recent months. Maybe Cornette was preventing Johnston from achieving his full potential as booker. We shall see. 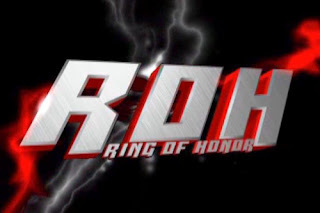 I think one of the biggest issues facing ROH is the battle over what they were when they started in 2002 versus what they are trying to be in 2012. 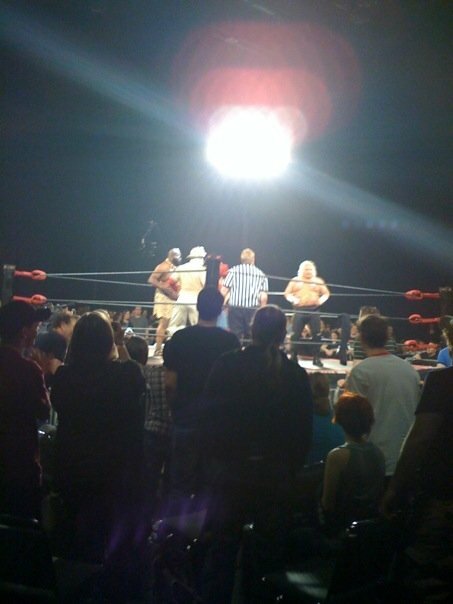 In ROH’s early years they catered primarily to the Internet Wrestling Community. As I mentioned earlier, ROH shows weren’t so much storyline driven (though they did have some good angles) but were more like Indy dream cards. At the time the Independent scene was filled with guys who have now made their names in WWE and TNA. Guys like CM Punk, Daniel Bryan, Samoa Joe, AJ Styles, Christopher Daniels and Austin Aries to name a few. It would be pretty hard to take a roster with those names and not have good shows. I’ve often thought Gabe Saplosky was overrated as a booker given the talent available, the international talent that was brought in for big shows and how ROH failed to grow outside their core base. I don’t mean to infer Gabe wasn’t successful, just that his value was overstated. Over the past four years, ROH branched out with a weekly television show. First it was a show on HDNet that, while having national coverage, was a niche channel few fans had access to watch. When ROH was sold to Sinclair Broadcasting fans thought it would bring more eyes to the company. Unfortunately Sinclair Broadcasting only has penetration in about 30% of the country. Also now that they’re part of a corporation there are more people in charge. Think of WCW on a smaller budget. With the addition of 52 weeks of television programming plus the house show DVDs and the now almost monthly Ippvs, there appears to be more of an emphasis on story telling instead of simply putting two outstanding wrestlers in the ring and letting them do their thing. In addition to the new business mentality taking its toll on ROH, the truth is the Independent scene doesn’t have talent depth it did ten years ago. Not discounting the talent that toils on a weekly basis trying to be the next breakout star, just pointing out the fact the Indy scene doesn’t have the same “must see” talents that were there a decade ago. ROH hasn’t really established a new face of the company in the last few years. I’m speaking from a personal bias here but the Davey Richards/Eddie Edwards/Roderick Strong trio are three guys I wouldn’t care if I never saw again. Their strong style-no selling mentality is the epitome of what I hate about independent wrestling. Kevin Steen is an entertaining person. I don’t know if his “destroy ROH” mentality has had the effect it was intended to have since Steen comes off like a cool heel in the same vein as Steve Austin or the nWo. Outside those names, the only wrestler I can think of that may have break out star potential is Michael Elgin. It’ll be interesting to see what ROH does with Elgin in the coming months since he’s scheduled to face Kevin Steen for the ROH title on Saturday. Based on his performance in the Chikara King of Trios tournament last month, Mike Bennett could also be a rising star if the fans can get past his association with girlfriend Maria Kanellis. Much in the same way I complain about wrestling fans not wanting to admit the Attitude Era is over and move on, ROH needs to understand it’s no longer 2005 and they aren’t the only major independent company out there. With the rise of Chikara, PWG, AIW, the Anarchy wrestling companies and even AAW, CZW (and AAPW which is different than most other companies) there are several outlets for wrestling fans to get their fix. ROH needs to evolve with the time or face extinction. I don’t feel like I really addressed any single factor I wanted to hit on in this blog. If you read this and have no idea what I was trying to say, I apologize. Go read one of Kevin’s “BOO” blogs. Come back later in the week when I discuss Bound for Glory and how the “dead man’s hand” of Aces and Eights may be D.O.A. by the time Sunday rolls around. As always, be sure to follow my123cents on Facebook and Twitter.